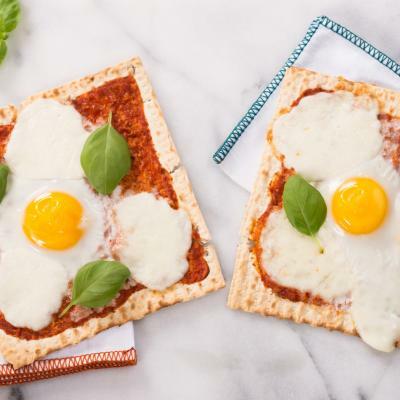 Cooking for a group of kids has never been easier especially when serving pizza for breakfast! Heat oil in large non-stick skillet set over medium heat. Whisk eggs with milk; pour into skillet. Cook for 1 minute or until starting to set on the bottom. Cook, stirring frequently, for 3 minutes or until small curds set, but are still tender. Arrange English muffins, cut side up, on a baking sheet. 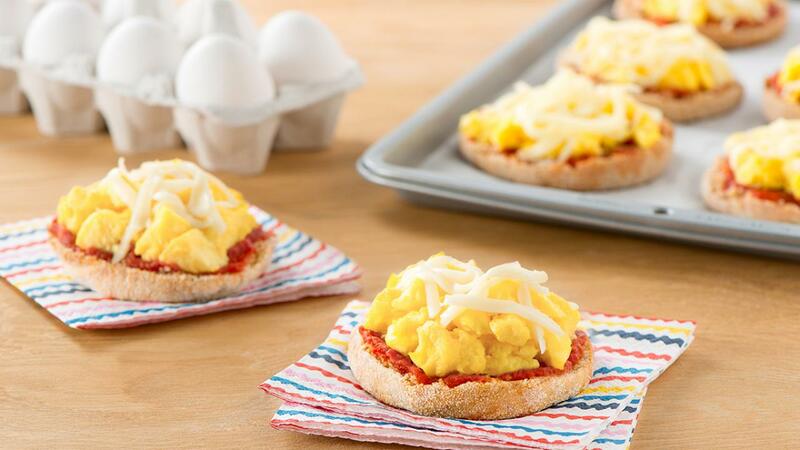 Spread 2 tbsp (30 mL) pizza sauce over each English muffin. 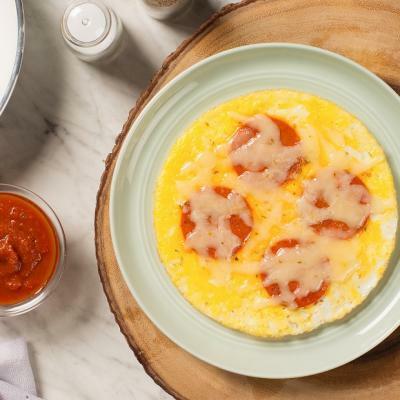 Top with 1/3 cup (75 mL) scrambled eggs and sprinkle with 2 tbsp (30 mL) shredded mozzarella. Place under broiler for 2 to 3 minutes or until cheese is melted. 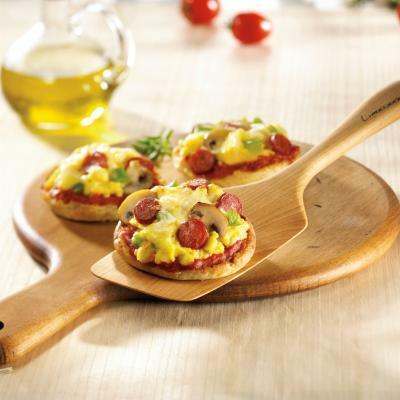 Add some colour by garnishing each pizza with finely chopped green pepper.